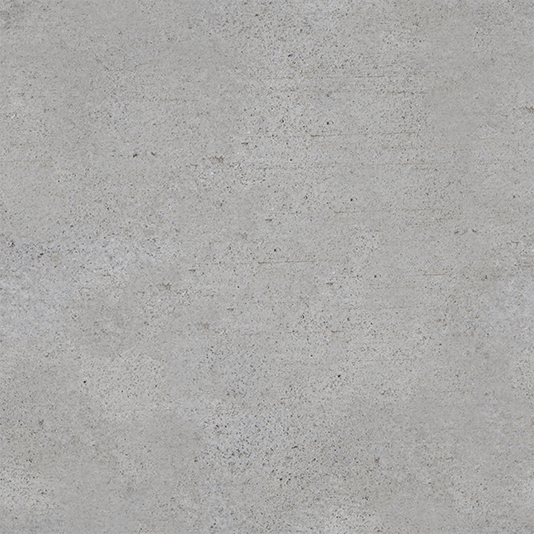 Here's what happened in class this week. ClassE is open and the public is welcome. 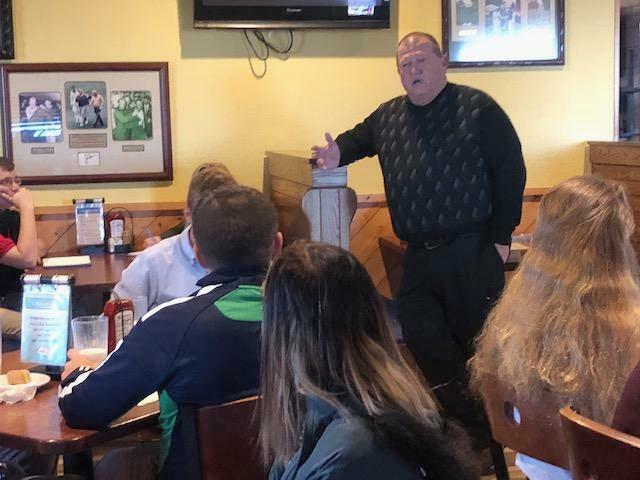 We met with Jerry Myerscough at Stadium Grill in Mattoon. He has thirteen restaurants including many Arby's and Freddie's franchises. Location is so important in the restaurant business and he would always ask himself "Where would a Walmart build?" and then buy adjoining land. Jerry stressed the importance of building a team that includes you banker, lawyer and accountant to be successful. Sometimes you don't have time to write a full blown business plan to see if your idea is feasible. 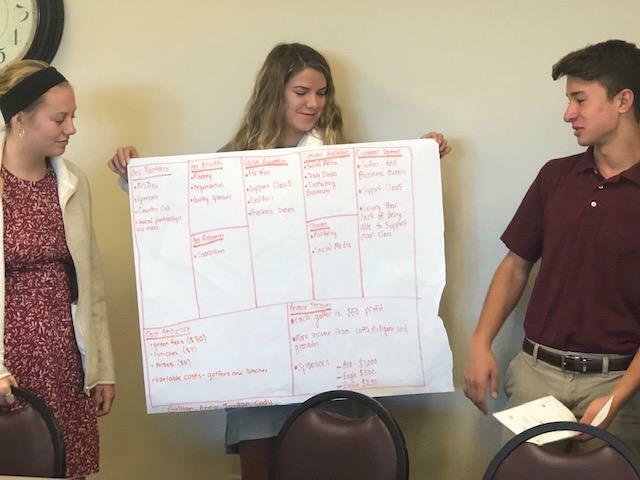 Business Model Canvas is a one-page mini business plan composed of nine sections that help students clarify and analyze their idea. 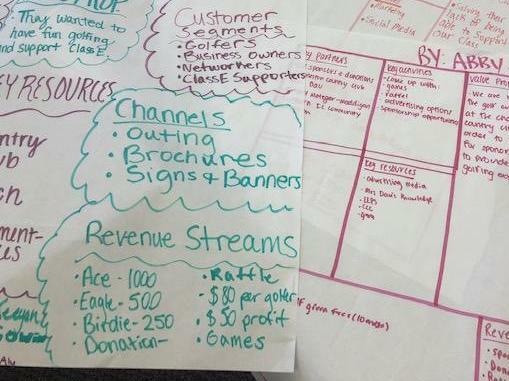 They worked in groups to create a Business Model Canvas for the golf outing. "Buy low and sell high" is a well known business mantra. The students will have next month to take a $1 each from the profits of the group business and make it grow to $100 buy selling a product. 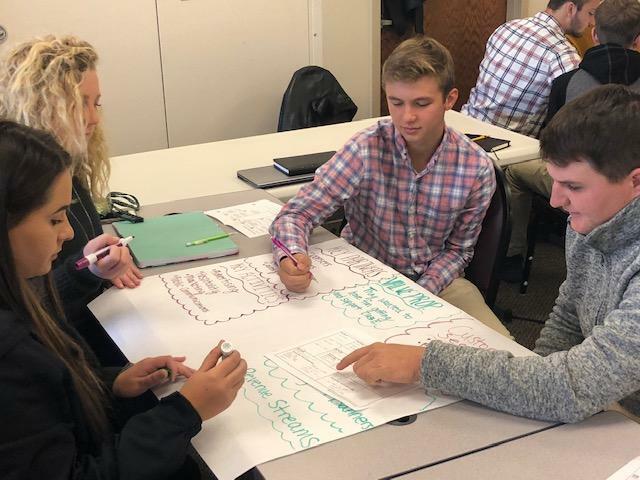 They will be writing a business model canvas to explain their: value proposition, customer segments, key partners, resources, activities, their channels and the cost structure and revenue streams. This will give them a taste of what their individual business will entail and will raise money to pay for a field trip to Chicago. 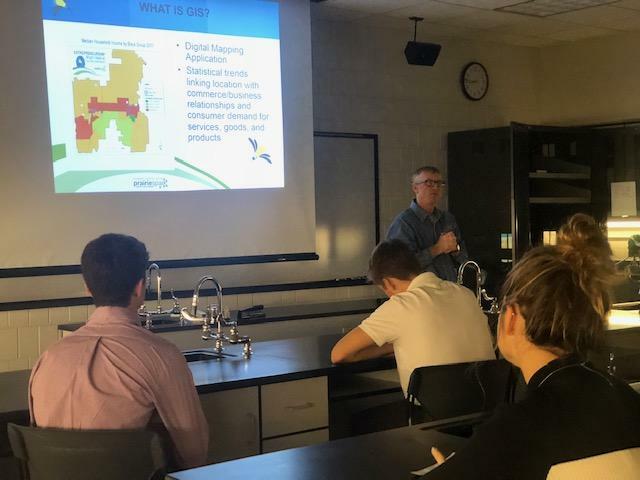 Dr. Mark Rudibaugh stressed that the more you know about the supply and demand of your business idea, the better chance you have of success. He showed us ESRI's Business Analyst software and discussed the 64 different behavioral segments or tapestries that the American households are categorized. These maps with layers of data added on top of them tell the story of where to locate your business. 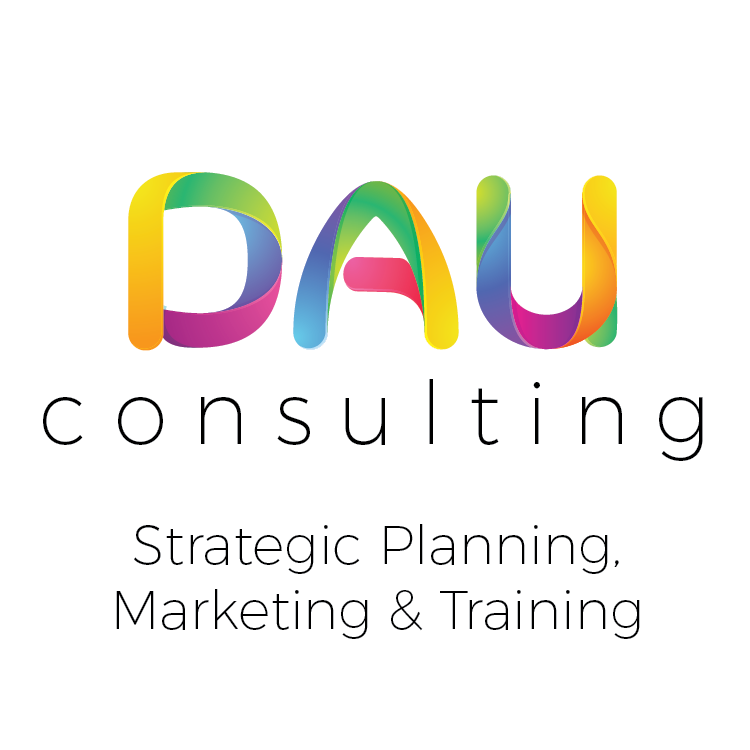 Dau Consulting helps organizations grow and prosper by providing all types of planning, marketing and training services. Jeanne Dau is the President and also the ClassE facilitator. She collaborates with other experts in these fields to provide strategic planning, web design, social media marketing and leadership and business development and helps develop business plans for startups and nonprofit projects.